Heard of the name Premium Tricks by IftiSEO? Are you a Blogger from India? Still Haven’t heard of Premium Tricks by IftiSEO? Well, in that case, you are missing out some precious blogging opportunities. Well, if you are a regular follower of IftiSEO Blog, chances are there you already know about this awesome group as it has already been mentioned there several times. But, in case you didn’t check out this post below where I discuss the features of this group, how it helps bloggers like me and how this is a unique group of the several other ones out there. This post is my tribute to this amazing group that has taught me SEO, and made me passionate about Blogging, and helped me earn more. What is Premium Tricks by IftiSEO? Premium Tricks by IftiSEO a.k.a. PTI is a SECRET Facebook Group with active Bloggers and Internet Marketers. The group is made for discussions related to Blogging, Youtube Videos, Internet Marketing, SEO, etc. 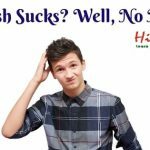 The group is founded by none other than Iftekhar Ahmed, founder of IftiSEO.com, a blog that deals with Search Engine Optimizations. It’s quite amazing how this guy made his name a part of his brand. Well done Ifti! Several unique features have made it special among the other similar groups. These are discussed below. Got stuck somewhere in Blogging? 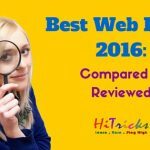 Be it related to blog traffic issue, or about the ads, or about the content, helpful members are active 24×7 to help you out. The productive activity is what keeps PTI an unmatched community over the others. Note: Of course PTI is NOT GOOGLE. Only queries that can’t be solved from googling can be shared here. As the name IftiSEO suggests, this group is an SEO Hub. All significant updates related to Google Search Results Algorithms, On-page, and Off-page search engine optimization techniques, and traffic boosting methods are shared here. Not only that, but effects of each algorithm can also be known from there, and tips on how to stay in the good eyes of Google are also discussed. Another sweet stuff of this group that makes it ‘PREMIUM’. Time and again, members love to share valuable tips on various aspects of blogging, which are very helpful indeed to grow your blog. Strategies related to gaining audience from social networks, or better ad placements to generate more potential ad clicks, or managing PBN (A PBN is a Private Blog Network, Google it to know more), or creating a website on affiliate niche and earning money, or about improving the website rank in SERP (Search Engine Results Page) etc are shared here. Apart from these, we also get suggestions for high-quality keywords to target, link building strategies, backlink lists for event blogging and high CPC niche ideas from other members. PTI proudly boasts it’s unbeatable range of Premium WordPress Themes and Plugins Collection. Every PTI member who purchases any themes of plugins uploads them inside PTI for their fellow bloggers. Famous themes from Themeforest, Studiopress, MyThemeShop are all hosted inside PTI. This group believes in “Sharing is Caring“. Note: PTI indeed has it’s HUB of Popular Premium Stuffs for free, but that DOES NOT indicate that the members don’t buy anything and always uses the Free Ones from there. In fact, this sharing inspires other members to buy more and more themes and share there. Everyone there buys new premium stuff regularly and shares for the others. So, we are purchasing everything and then sharing it so that everyone can get helped. From my part, I bought the Newspaper Theme by Tagdiv, which I am using on my blog HiTricks. Apart from Premium WordPress Themes and Plugins, PTI also has some great uploaders who regularly provides us with new marketing tools such as Video Editing Softwares, Logo Designing Softwares, Premium EBooks from popular sources, Free UDEMY Courses, Premium Licenses of SEO Tools and more. Note: Well, PTI is indeed a tree full of fruits, but the group is NOT for the leechers. To stay in the group, you must be an active user and contributor there. You must help others to get helped. Else you will get removed. Many helpful PTI Members come up with their Case Studies to help us understand the patterns related to how they blog. These case studies includes which niche they had worked on, how much competition was there, how much backlinks they made a day, how they sliced up their content, how much traffic they got initially and how they boosted it gradually, what was their Real Time Traffic, and lastly, how much $$$ they banked. They also share some tips to work better in future. Ah! How can I forget to mention about this when I am writing about Premium Tricks by Iftiseo. PTI hosts back to back giveaways every few months. Prizes are worth from a few thousand to even lakhs. PTI Giveaways include 1:1 Session with Pro-Bloggers and Marketers, which is a rich gem for the winners. Websites, Free Hosting, and Premium Subscriptions are also part of Giveaways. I had won twice in the giveaways, of which once got a Windows 8.1 License Key. As we all know, time and again Google updates it’s algorithm of ranking websites, and during that period, many publishers face the penalty from Google for using Black Hat or Grey Hat SEO. So, keeping ourselves informed of the updates helps us to avoid getting penalties. Staying inside PTI, I have never missed any Panda or Penguin Algo Updates and have always been able to protect myself from the wraths of Google. Among the several other common rules such as No sharing of Blog Links, or Promotions, or Spams, No abusive words, etc., PTI has some additional rules that keep it active as well as helpful. Firstly, Leechers are NOT allowed here. To stay inside PTI and access the Gold inside, a user must share his stuff, be it some premium file or some helpful tips for other members. Secondly, Members should help out others seeking help if he knows the answer. Similarly, PTI is not a Google and asking anything found by googling is strictly prohibited. Thirdly, Members should participate in discussions and voice out their opinions inside the group. This helps in the exposure of the individual blogger and reflects it throughout PTI. Lastly, PTI Group Cleaning is done every month, and inactive people get removed. Inactivity is detected efficiently by searching individual member’s name inside the group and checking his or her activity for the past few days. For me personally, abiding by the rules were quite natural and I love to help out as many members as I can inside the group. (Provided that I know what is being asked). I look forward to helping more and more in future. How PTI helped me Personally? It’s time to acknowledge Iftekhar Ahmed for making such an awesome community that is capable of changing any blogger’s life. Thank You very much to every single person for being a helpful member of the community. I joined Premium Tricks by IftiSEO back in January 2015. That time it had a member strength of 300, gradually it increased to 600, and now it’s around 1k. It’s over a year now, and I feel privileged to be one of the members there. I thank Muhammad Abdul Gaffar for letting me know about this fantastic community. He is the one who sponsored me into PTI and helped me a lot in these months. Thank you, friend. In this one year I have got assistance for every blogging issue I came across, won giveaways, got premium themes to utilize and more. From PTI, I successfully made a lot of new Facebook Friends who helps me in times of need. I follow their blog posts regularly, and I can study the ways how they write up their blog articles. Time and again, I get suggestions from them regarding my blogging style as well. How to Join Premium Tricks by IftiSEO? Ah! So, finally, the Big Question Comes… How to join PTI. Well, as you already know that it is a Secret Facebook Group, you cannot directly enter there. One of the primary reasons to keep this group secret is to control inactive people or leechers from joining the group. PTI strives to hold it’s activity and richness intact. And so, unfortunately, invites to join PTI remains closed most of the time. The only way to join PTI is to Follow Iftekhar Ahmed on Facebook, make sure you get notifications of his new posts. Occasionally, he opens invites to join the group and ask for your entries in comments. PTI members are more than friends. We also support each other at times of need. There were times when some member faced a financial crisis and needed money for emergency cases, and we heartily helped him out. It is a joy seeing that we decide to stay united. It gives me immense pleasure that I could become a part of this group. I am looking forward to staying active here for years to come! Just want to say lots and lots of Thanks to PTI for changing me completely. 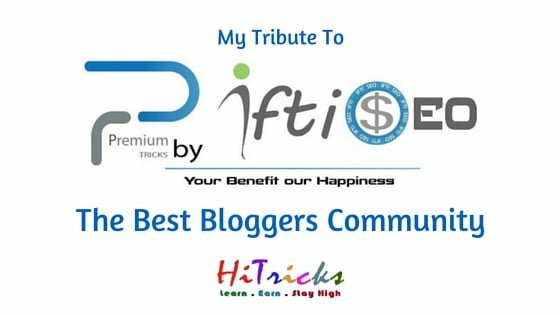 Thank You very much for reading my post on Premium Tricks by Iftiseo group. If you are a PTI member and feel in the same way like I do, then just share this post and let your friends know about this community. So did you enjoy reading this post? Then do comment about it below. Write up how did you like it, that’s all I wait to see at the end of the day. That’s all for now. I will be back soon with more and more amazing posts. Keep visiting HiTricks. Meanwhile, check out my posts on Remix OS, an operating system capable of running Android on your computer. No, this is not any android emulator like Bluestacks which runs inside Windows as a software, this is a complete Android OS. It supports all major computers, both 32 bit and 64 bit. Try installing the Remix OS for PC.